At Nicole Marie, we have a new obsession and you are not going to believe it when you hear it. Crimping. So 90’s girls unite and let’t get to it! In a world of ever-changing trends and styles, history is bound to repeat itself. Crimping was seen all over fashion week taking over runways in Milan and Paris and these girls make us want to keep the fad going. You can dust off your old crimpers or buy a new one that has interchangeable plates for different sized of waves. Its not just the size of the crimp that you get to mess around with either, the possibilities of crimping styles are endless. Throw in a few for a fun, different look on a Saturday night or utilize them for wedding and prom updos to add something to standard curls. 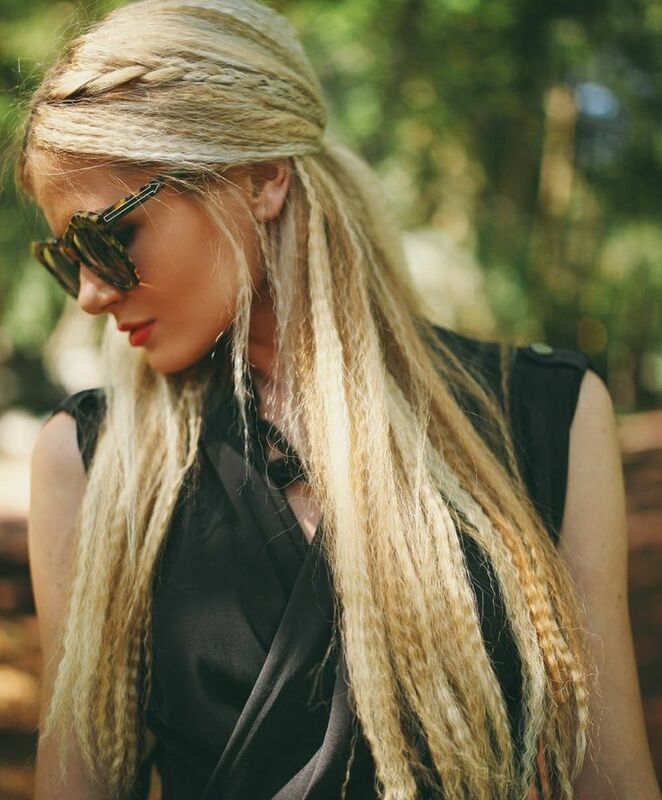 If you are in love with the crimps but are worried about the heat and stress it may put on your hair, try braiding it into sections when the hair is damp and leaving it in overnight. When you take the braids out in the morning, it will give you a wavy, natural crimp without all of the work and damage. The crimps can get full and wild or you can add a couple here and there. Try throwing them into a pony or curls for some extra volume or go all the way with a crimped blow out, either way we are a fan! When using a crimper though, make sure that you always use a heat protectant because while we all want fun and stylish looks, caring for our hair is always #1! If you aren’t sure where to begin come and visit us at Nicole Marie Salon and we can give you the ins and outs of Crimping 101.